Watch your favourite East Coast Radio Presenter, Sirshin Moodliar, his producer Simon Carter, and the Trending Tonight technical producer, Trinity Dlamini get their Xmas cheer on. The year is winding down to a close, and it's been one heck of a year with a lot of ups and downs. But the Trending Tonight team always have something to cheer you up. 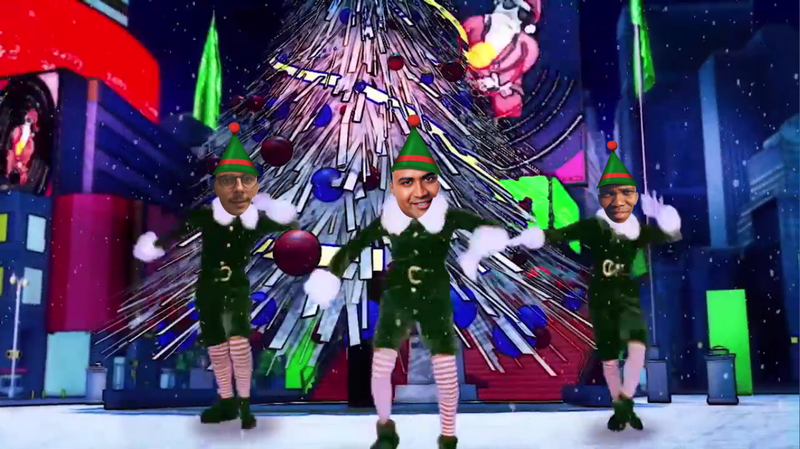 Watch Sirshin, Simon and Trinity in their adorable little elf costumes bust some serious moves. No elves were harmed in the making of this film, except Simon. He's suffering from some back pain now.